Congress president Rahul Gandhi will meet the party's core group tomorrow morning to chalk out strategy to further step up the offensive on the Modi government over the Rafale issue, sources said. After the meeting, some of the party leaders may join a Youth Congress protest march from the AICC headquarters here to the prime minister's residence, they said. Sources said the newly-formed core group committee will meet tomorrow morning at Gandhi's residence to discuss further strategy over the Rafale issue. This will be the first meeting of the group, which has top Congress leaders as members. 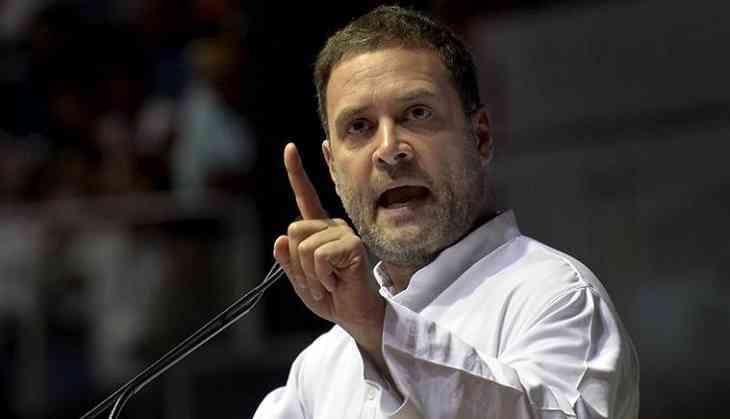 The Congress has launched a frontal attack on the government over the Rafale issue and is demanding a joint parliamentary committee probe into it.